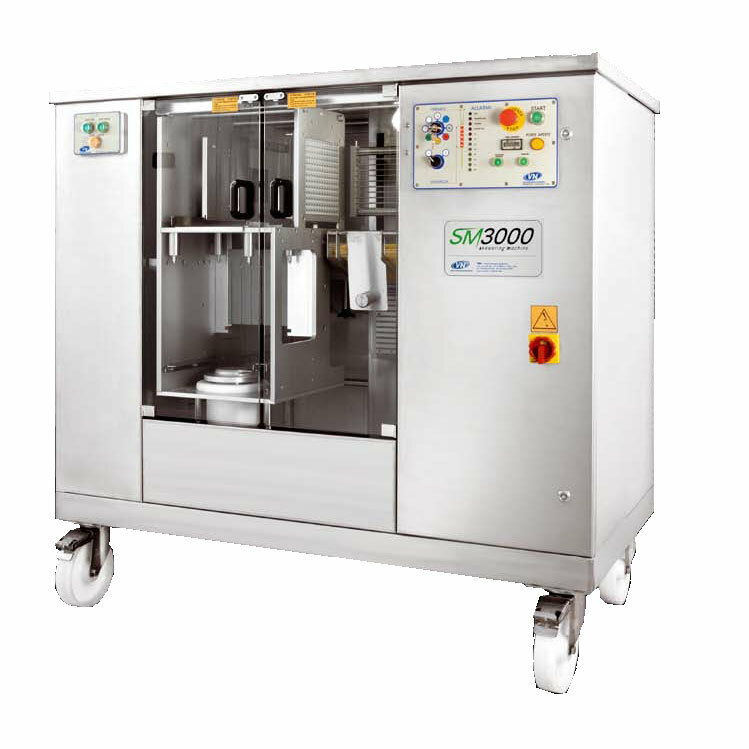 The machine utilizes purposefully designed containers which are manufactured entirely in a special plastic material suitable for use with foodstuffs. These are filled with the product to be processed. Loading of the stations, transfer from one station to the other and removal of the final product are performed manually.